Michael Willesee has departed SKY News to take up a role with the office of Treasurer Joe Hockey. Willesee has has 11 years with SKY including as host of First Edition and receiving an ASTRA nomination. Chief Political Reporter Kieran Gilbert will join First Edition, in a move that will see the program, to be anchored out of both Sydney and Canberra. 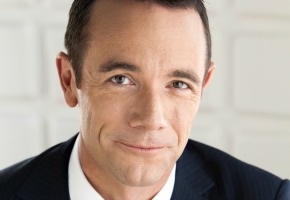 From today he joins current co-anchor Nina Stevens who hosts from Sydney while Gilbert will broadcast from the National Press Gallery at Parliament House. Kieran said: “I’m thrilled to be an even bigger part of First Edition and bringing the day’s news to our viewers every morning Live from Parliament House. “Having worked in the Parliamentary Press Gallery for the past 11 years I’m aware of the key role SKY News plays in the 24/7 news cycle. “We have a loyal audience for our politics and national affairs coverage and I look forward to reporting on important local and international stories through the prism of our nation’s capital.